Choose from a vast selection of windows to enhance the comfort of your family’s home. Few window styles make more of an impact on curb appeal than high-quality bow windows. Featuring multiple window panes that can be customized to the needs of your home, bow windows offer expansive views of the outdoors and functional interior seating or storage that adds value to any room of the house. The weather in Dunwoody can be unpredictable, but you can enjoy the beauty of nature year round with the innovative design of custom garden windows! Our Dunwoody garden windows are engineered to provide extreme efficiency and functional features that make them the perfect indoor nook for growing plants or displaying small décor. Are you tired of struggling with high utility bills? Are your outdated windows bringing down the curb appeal of your property? Getting upgraded home windows in Dunwoody is easier than ever when working with the certified professionals at Tight Line Exteriors! From classic, low-maintenance styles to custom solutions, we can help you find the right products at a price that fits within your budget. 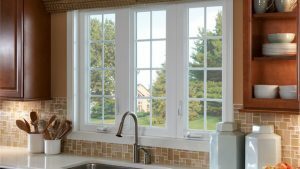 When choosing a Dunwoody window installation company, you need to know that their installers are committed to honest, high-quality work. That’s exactly what you get with Tight Line Exteriors, a team that always goes the extra mile to exceed your expectations. Quickly and affordably, we’ll ensure that your windows are installed to the highest standards—giving you decades of peace of mind. Grab a Free Estimate Today for Your Dunwoody Window Upgrade! Getting the most out of your home remodeling budget means working with a professional team for the installation of your replacement windows, and there’s nobody more qualified than Tight Line Exteriors! To get started by talking to one of our friendly representatives, just give us a call today. You can also request a free, no-obligation estimate now by submitting our simple online form.